Today we are going to be looking at the best forex brokers in South Africa to join, if you are a beginner and need to get into the forex trading market. 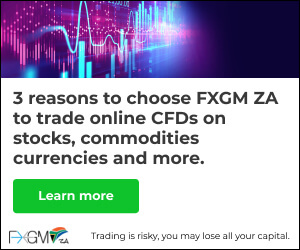 If you go and search online, you will literally find hundreds of forex brokers and we will provide you with the best forex brokers in our opinion, to join in South Africa to start your forex trading. Both of these companies offer great service and very easy to use platforms, whereby you can trade live on the forex market, or try their demo accounts to get a feel for trading with virtual money. We would recommend that you try and start with the demo account, so first learn the basics and test a few strategies, before going in live with your own money. Choosing the best brokers is of the utmost importance because this will be a big factor in your forex trading journey. Being able to contact a broker to discuss issues or new add-ons is crucial and that is why we are focusing on this issues for our readers. You can find a more detailed comparison below, as well as other companies we are currently working with.